The SMS Works is an SMS API gateway provider that allows users to easily integrate messaging capabilities in their applications thru its copy and paste API snippets feature. It enables the app, software, or website to send and receive messages. In this article, we cover its available pricing options. Ready to get started with The SMS Works? Create a free account. As of the date this article was written (12/03/18), there are no user reviews of The SMS Works online. If you are a past or current The SMS Works customer, leave a review to help others who are deciding whether or not to use the company. 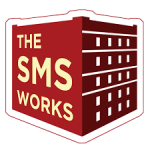 The SMS Works operates a pay-as-you-go service and only charges per delivered messages. Non-delivered or failed messages are credited back to the user’s account. SMS prices range from 1.45p to 2.9p, depending on the total number of messages that were delivered successfully. *New customers with an initial purchase of more than 500 text credits will get a free additional 500 text credits for 1.45 pence + VAT per text. Messages sent outside of the UK charges 2 text credits per message. Ready to get started with The SMS Works? Create a free account. What are the inclusions of the free account? Newly signed up customers get full access to all The SMS Works features and 50 free text credits. The SMS Works provides multiple payment options which include Visa, Maestro, Mastercard, and American Express. Users can also create an invoice from their The SMS Works account and pay via BACS transfer. Not sure if The SMS Works is the right fit for you? 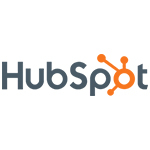 Read our reviews of all top marketing automation software providers or check out one of these three The SMS Works competitors.